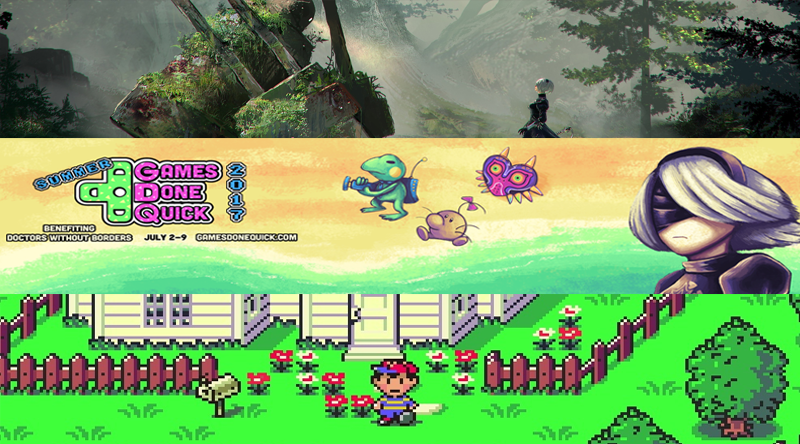 Summer Games Done Quick is on its final day and its going out with a bang. Along with Awesome Games Done Quick at the start of the year, SGDQ has grown bigger every year and proved an awesome way to kick-off the summer. Setup at the at the Marriott City Center in Minneapolis, Minnesota, speedrunners of all different games will be showing off their skills and arcane knowledge in an effort to raise money for Doctors Without Borders. This year’s marathon began Sunday with NeiR: Automata (this guy literally played it using only one hand) and ends next Saturday night with a playthrough of Earthbound. Of course there’s plenty of great stuff in-between, including classics like Diablo II and Chrono Trigger, as well as a personal favorite of mine, G.I. Joe: The Atlantis Factor. If you’re new to speedrunning, the great part about SGDQ is that every playthrough includes interesting color commentary of the game in question and explanations of how the speedrunners are able to exploit each little idiosyncrasy to cut time off the attempt. All of the runs will be broadcast live in the Twitch stream below, but you can also check the YouTube archives for anything you might have missed!